From the “Otherworldly” jewelry collection: Baby geode ring. 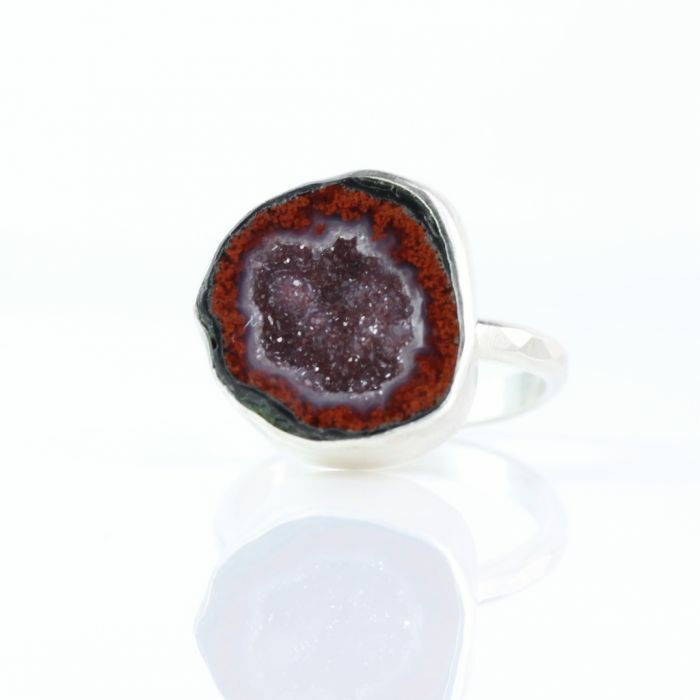 Dramatic red “druzy” glitters inside this unique baby geode. 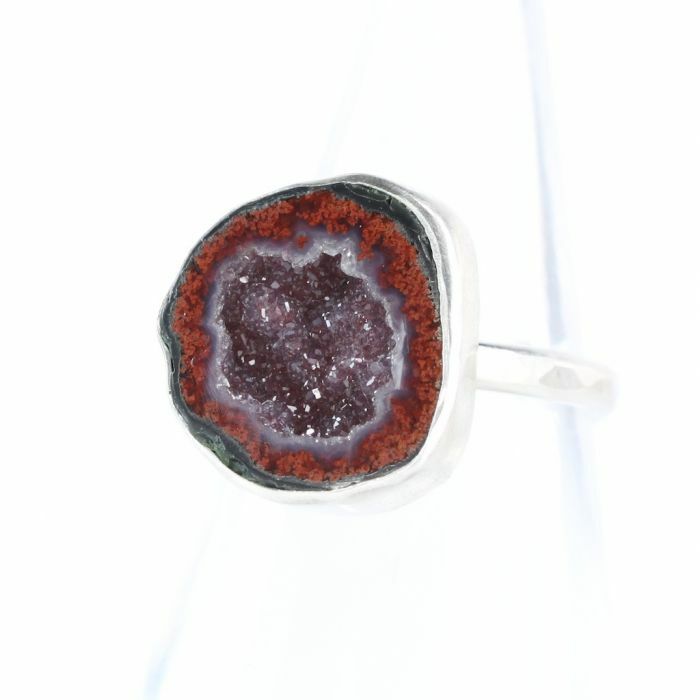 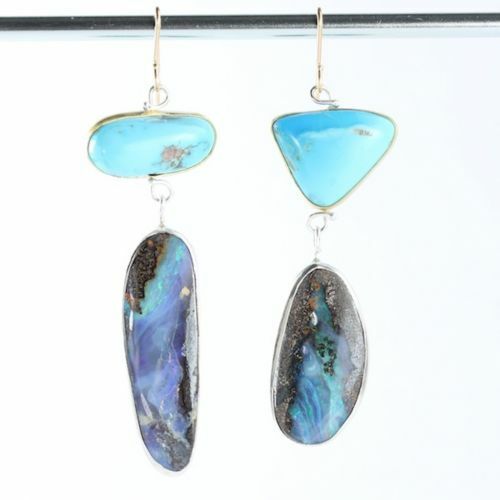 One of a kind geode, hand set in a fine silver bezel, with a sterling silver back, sterling hammered band with brush finish. 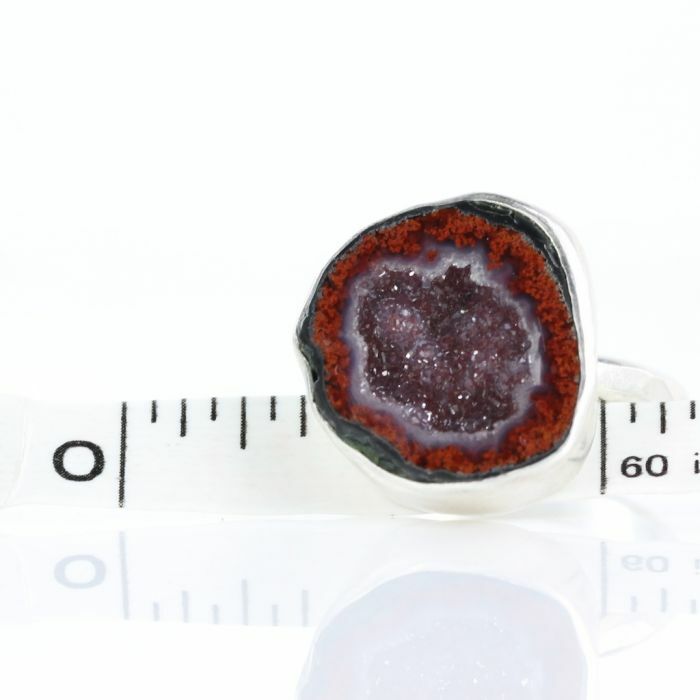 The geode measures about 16 x 15 mm. 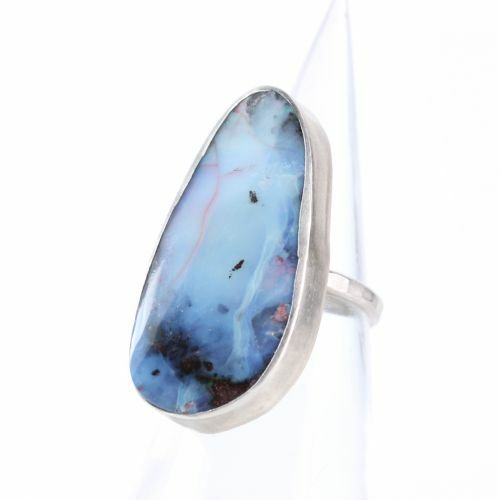 Size 7.75 can be sized up to 8. 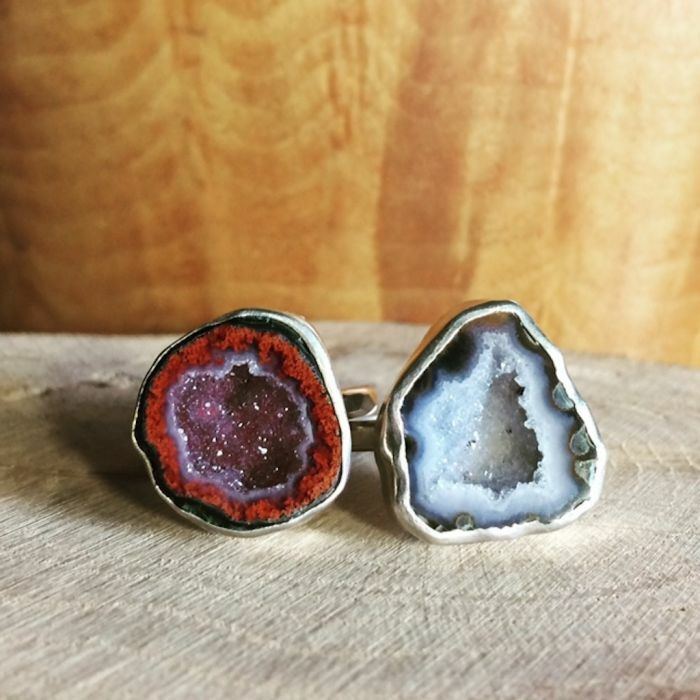 Are you matchy matchy? 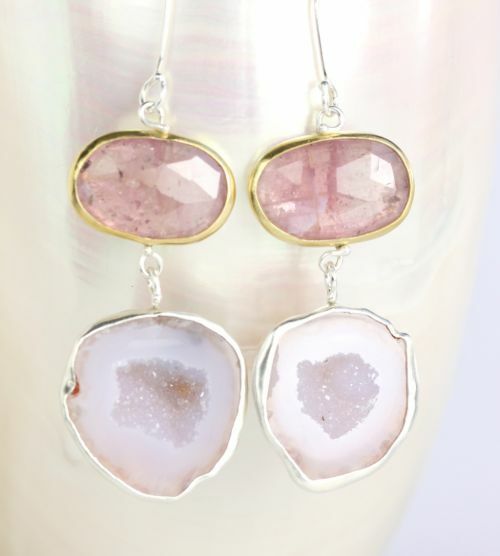 Check out the big red geode pendant!